So you’ve got your lease signed and are ready to go with your new tenant. Everything is in place – or is it? Getting the deal done is paramount, but the demon is is in the details for a lot of lease issues including tenant personal property and trade fixtures. This is the first in several articles about what the tenant brings to the premises and how that plays out during the lease term. Understanding what the tenant is bringing (or may add later) to the premises is key to getting ahead of the situations that may result from what is installed, stored, used, rented, financed or otherwise placed in the premises by the lessee. 1. 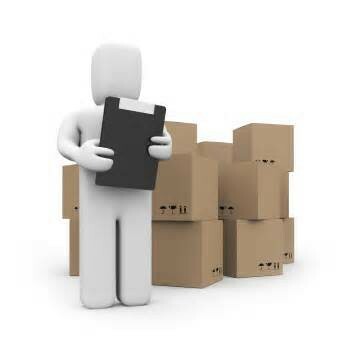 Initial Inventory of Items – Ask your tenant what they plan to do with space and what they will be stocking and installing in the premises. Sounds simple but sometimes it is only inquired of in the general sense. In addition, sometimes the response is vague or “to be determined.” If there is significant TI involved, this may appear more difficult, but should not be if the tenant quizzes their contractor and equipment/inventory vendor(s). Is this too much to ask the tenant? I would say no, especially if they are going to be in a long-term relationship with the landlord. Better to get off on a fresh and straight start than not. 2. Lists and Photographs – Another task that will pay dividends at the end of the lease (or sometimes before). Hopefully the tenant will provide its FF&E list upon request. Video or pictures of the finished space are crucial too. Although sometimes not a usual item on most DD lists, this can be essential when the doo doo hits the fan. 3. Initial Walk Through and Inspection of the Premises – absolutely key to the process. Tenant approval in writing should be a premium. Delivery of this document can be coupled with the tenant’s requirement to execute and return the estoppel and/or the Commencement Date Agreement. Note as much as can be viewed and analyzed and if it cannot be determined (age of roof, walls, foundation, structural issues etc.) then note that as well. The more detail the better the result later if there is a dispute. In other words, you can put disputes to bed up front and hopefully not have to revisit them later in the tenancy. 4. What Is Owned By The Tenant And what is not? – Require the tenant to provide documentation of all personal property they own, any encumbrances on that property, and any lease contracts or finance agreements that cover any items or trade fixtures in the premises. As we will see later, this step will often prevent a investigatory nightmare if the tenant leaves property in the space and is not around (or willing) to aid the landlord in identifying the proper owners or lien holders of the items. 4. Contractual Lien In Lease – In NC and most other states, the landlord can create a security interest in all property owned by the tenant by inserting the proper language in the lease. This step should also be accompanied by a UCC-1 filing to perfect the landlord’s interest. Some tenants may resist allowing this term in the lease because it will put them in default of a business or vendor loan agreement. Even so, landlords should discuss this issue with the tenant and also complete an independent UCC lien search to determine the rights of any third parties in the property. NEXT TIME: During the lease term…. ← My Tenant’s Subcontractor Just Liened My Whole Property ! What Do I Do?